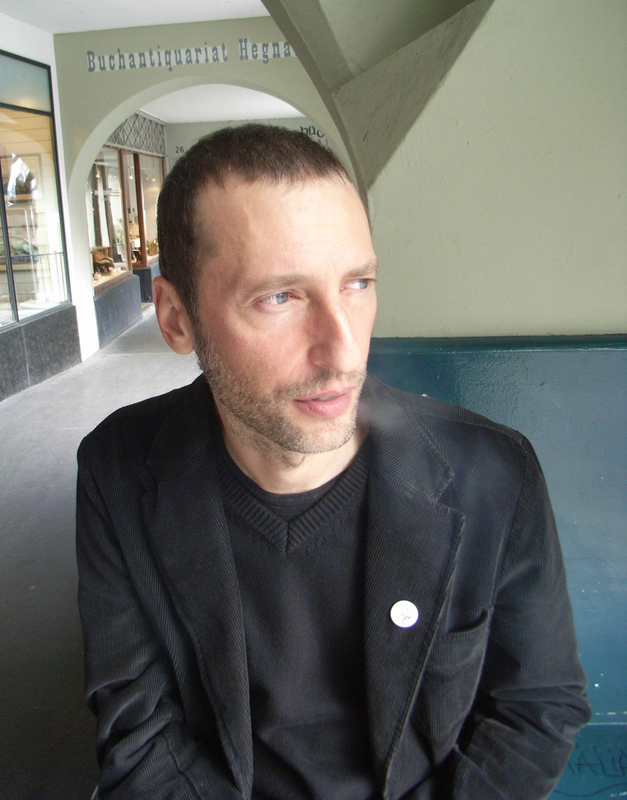 Stefano Giust is an Italian improviser, drummer, composer of electronic/acousmatic music, producer and graphic designer. In the last thirty years his work has focused on the broad spectrum of improvised and experimental music; it develops into many different achievements, in which indeterminate music hold a central role. He considers the practice of improvisation as an important aesthetic form in contemporary music and also an open process compatible with any idiom and musical situation. He works on these subjects into an acoustic, electric, electronic and audio/video surrounding. As a drummer he has developed a unique and personalised approach, his playing focuses on rhythmic pulse and rhythmic destructuration, along with embracing powerful rough angularity, asymmetrical rhythms, noise, timbric intensity and extended techniques. Born in 1968, he has started to recording his music at the age of 14. Since then, his approach remained uncompromising, firmly independent, embracing a DIY attitude. He has recorded about 80 albums with his own main projects or as co-leader, mostly in the fields of improvised music, free jazz and electronic music. As a drummer, he has played among others with Gianni Gebbia, Mick Beck, Tobias Delius, Steve Beresford, Edoardo Marraffa, Luc Ex, Tristan Honsinger, Thollem McDonas, Eugenio Sanna, Clayton Thomas, Vincenzo Vasi, Wolfgang Reisinger, Roy Paci, Liz Allbee, Sakis Papadimitriou, Roberto Bellatalla, Bratko Bibič, Patrizia Oliva, Bob Marsh, Carlo Actis Dato, Gianni Mimmo, Xabier Iriondo, Kanoko Nishi, MaryClare Brzytwa, Luca Miti, Gianni Lenoci, Mario Rechtern, Keiko Higuchi, Stéphane Rives, Marco Eneidi, Paed Conca, Nils Gerold. He has toured Italy, England, Scotland, The Netherlands, France, Germany, Spain, Portugal, Switzerland, Austria, Slovenja, Belgium, Poland and Brasil. Interpenetration Festival (Graz), Vortex/Mopomoso (London), Area Sismica (I), Drittes Kleines Festival Der Anderen Art at Reitschule (Bern), 48th Venice Biennale (I), ZDB (Lisboa), Fluc/Klub Moozak (Wien), Mostra SESC de Artes (São Paulo, Brasil), Wendel (Berlin), KUD France Prešeren (Ljubljana), Retrograde In The Dromosphere Festival (Poland), La Centrale (Bordeaux), Resonance 104.4FM (London), Festival Sons Libérés (Bruxelles). As acousmatic/electronic composer, some of his works have been used and commissioned by experimental film directors and video-artists. In 1993 he founded a radical record label named Setola di Maiale with DIY attitude; up to now he has produced more than 200 albums involving 400 avant-garde musicians; connected to this project, he has also organized 3 festivals.